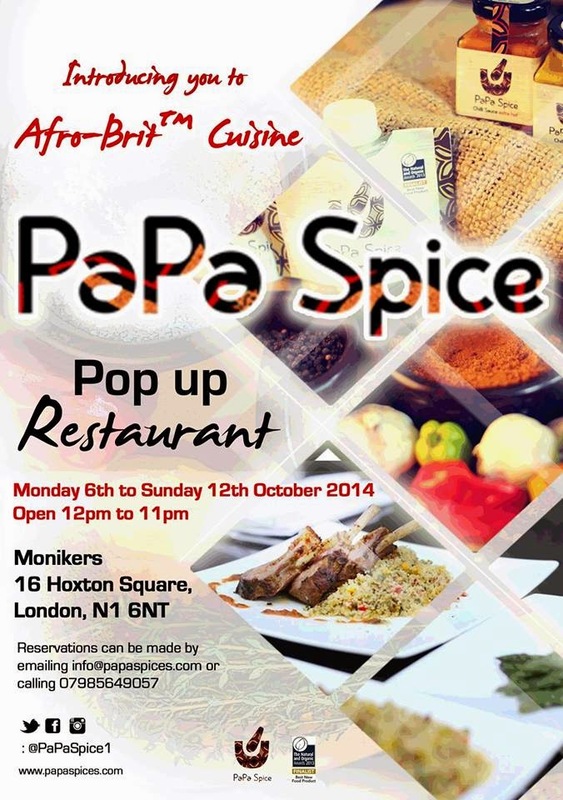 Next week, from Monday 6th to Sunday 12th PaPa Spice is popping up at Monikers in Hoxton with their Afro-Brit™ dishes. Unusually they will be open from 12 noon until 11pm every day, so not specific dinners or lunches, which gives you lots of time to drop in to see them. "PaPa Spice is back in North London for our biggest pop-up to date. We’re bringing back some of our signature Afro-Brit™ dishes as well as introducing you to new ones. We are all about food fusion; our menu will feature some classic British ingredients with an African twist. So bring your partner, friends or family and see what the fuss is all about."